Maestro Fresh Wes – best known for his 1989 hit Let Your Backbone Slide – has a new song for his favourite basketball team. In time for the Raptors season opener, the Toronto rapper has released Jurassic Park, featuring Rich Kidd. The song is the first single from his new album, Coach Fresh. 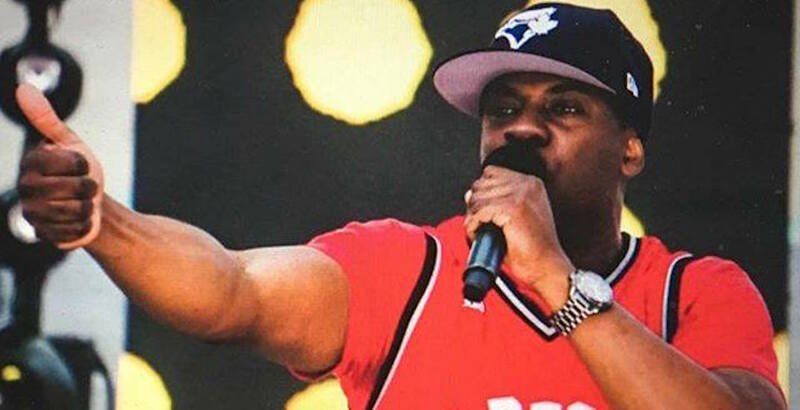 The anthemic jam was inspired by Rich’s slammin’ beat and the square where fans gather together prior to Raptors games directly outside of Toronto’s Air Canada Centre. Created for Toronto Raptor fans with full appreciation of the pure enjoyment of the game, Jurassic Park is released today in celebration of the Toronto Raptors’ home opening game. The Godfather of Canadian hip hop can be found on television nowadays as an actor, playing the role of Paul Dwyer on Mr. D, which airs weekly on CBC.